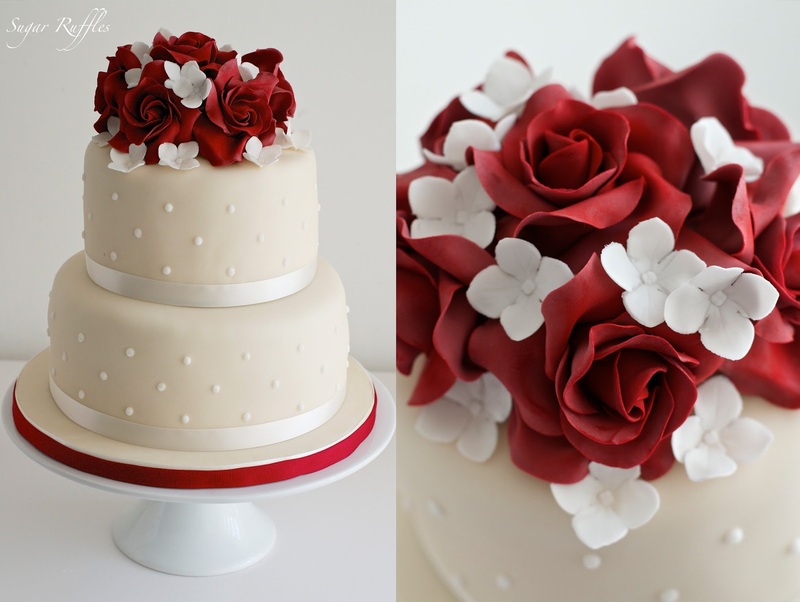 A look at some of our recent wedding cakes delivered to Low Wood Bay, Windermere. When you book you wedding package at Low Wood Bay, you will receive one of our wedding cakes included as part of your package. All our wedding cakes are bespoke and designed to reflect your personal wedding style. 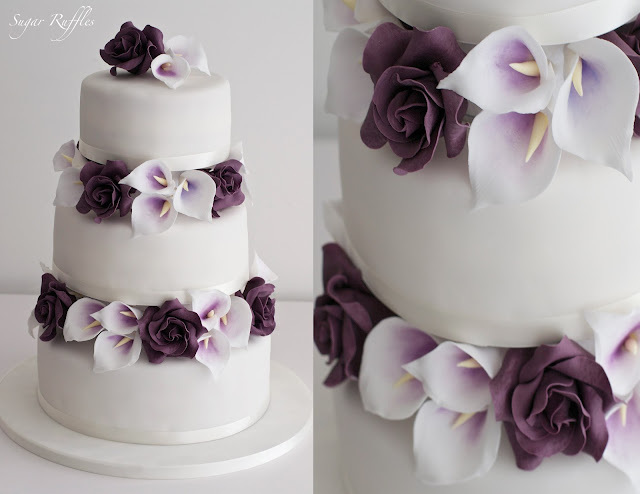 A 3-tier wedding cake with sugar roses and picasso calla lilies between the tiers. A 2-tier wedding cake with piped swiss dots, topped with red sugar roses. 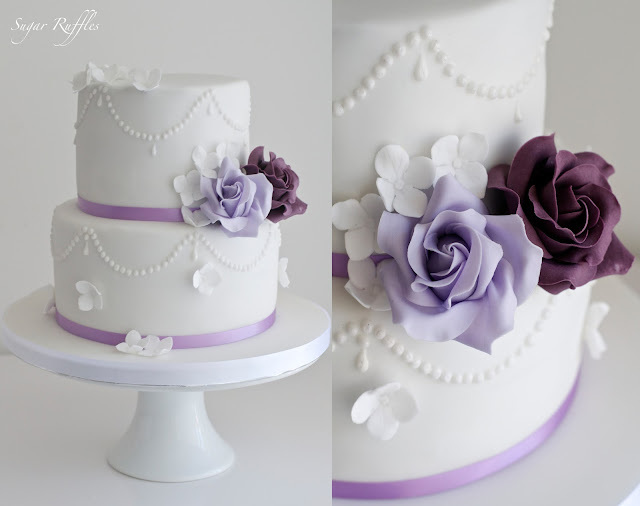 A 2-tier wedding cake with draping piped pearls and purple sugar roses. 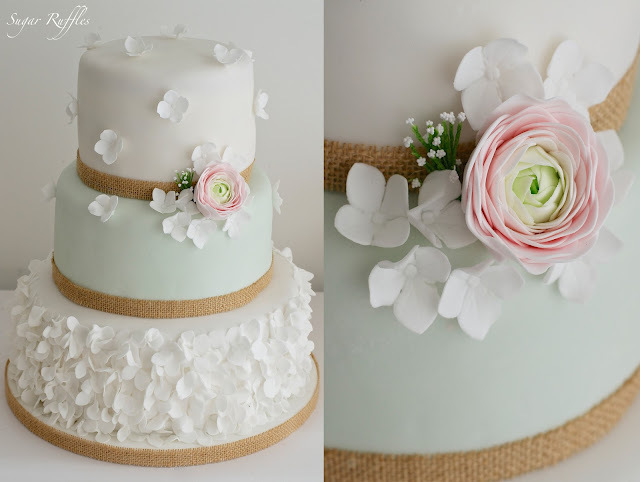 A 3-tier wedding cake with petal ruffles, a sage green tier, hessian ribbon, ranunculus and hydrangea sugar flowers. 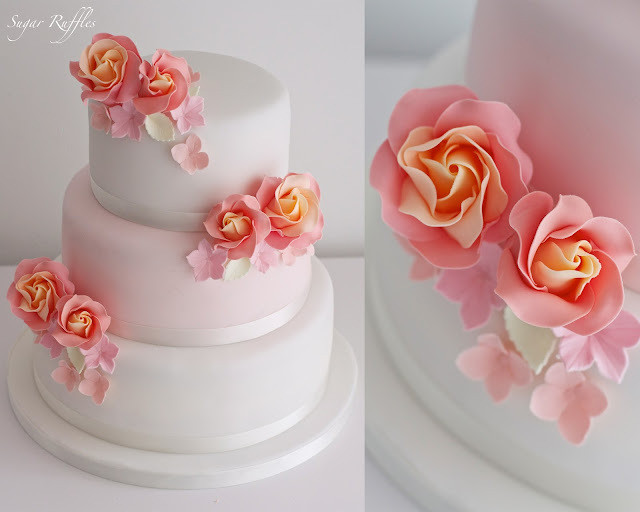 A 3-tier wedding cake with a pale coral middle tier and Miss Piggy sugar roses. 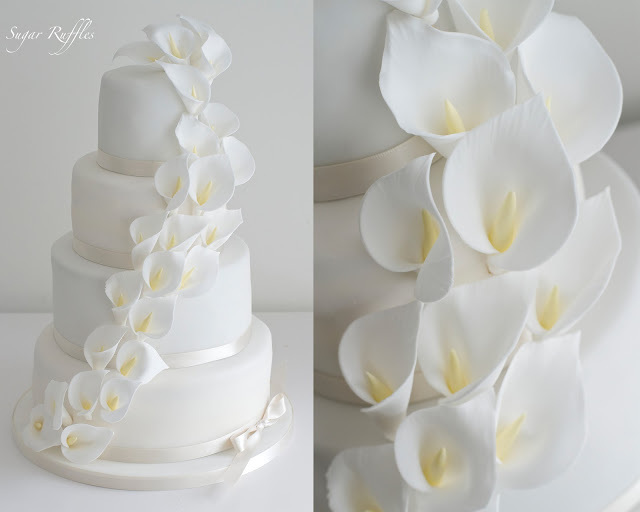 A 4-tier wedding cake with cascading sugar calla lilies. 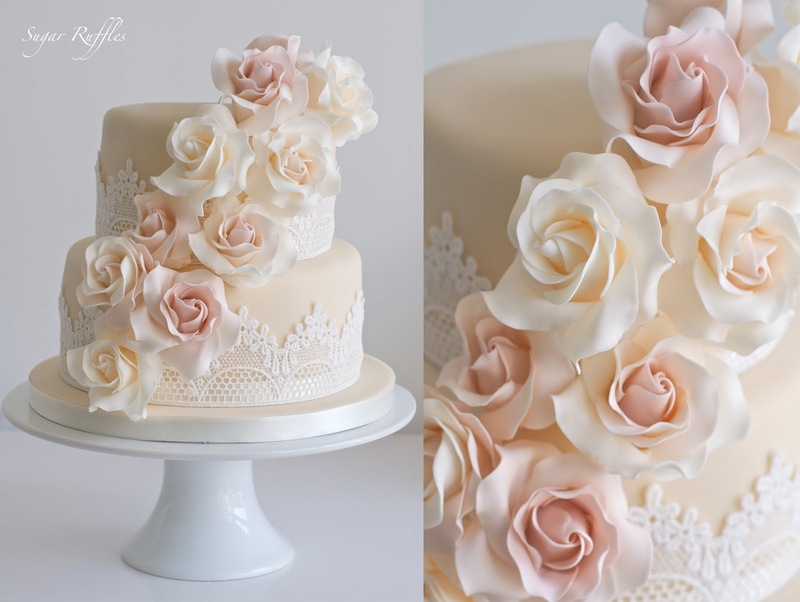 A 2-tier wedding cake with lace and cascading sugar roses. 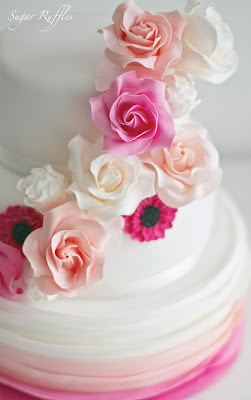 A 3-tier wedding cake with petal ruffles and cascading sugar roses. 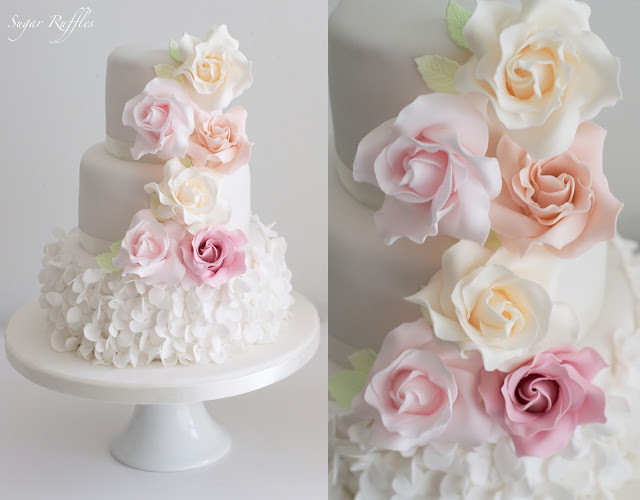 A 3-tier wedding cake with pink/peach ombre ruffles and cascading sugar flowers. 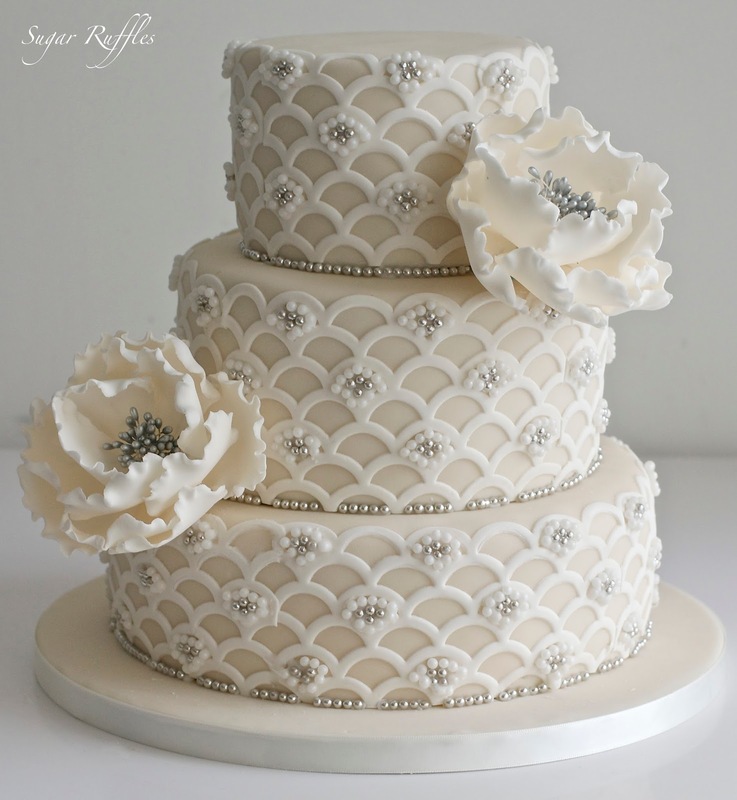 A 3-tier wedding cake with scallops and pearl details, with large peony sugar flowers. 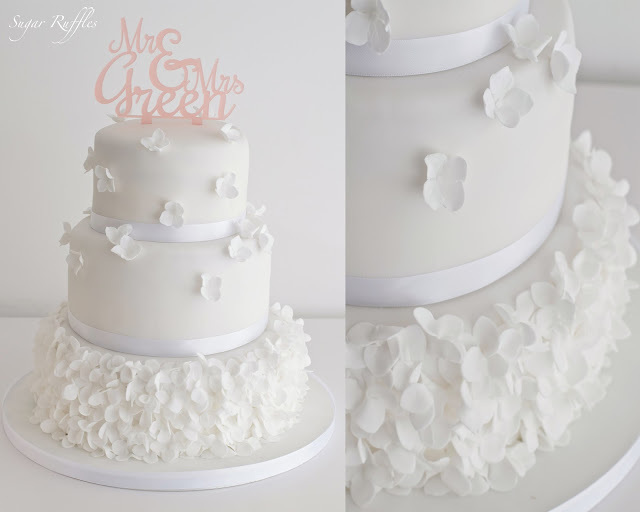 A 3-tier wedding cake with petal ruffles and hydrangea flowers.